Communities around Renfrewshire are pulling on their marigolds this weekend to clean up their local area for the Big Spring Clean. Whether you’re planning on volunteering for the many community clean up events taking place or simply fancy giving your own home a spruce up for spring here are some top tips to get your house spick and span. Make a list of the areas you want to concentrate on and the cleaning products you’ll need. Always start from the top down – whether it’s the whole house or a single room. There’s something very satisfying about a good declutter. A good rule to follow is if you haven’t used something in the last six months you probably don’t need it – unless it’s seasonal items like Christmas decorations or summer clothes. Decide what to keep, donate or toss and try to be strict with your stance. You’ll be amazed how much space you can create in your home! If we’re being honest we probably don’t clean out our fridge as often as we should. This means that stains, food and water can build up. Clean out your fridge, give all the shelves a good clean and wipe down the inside of the fridge. Once you’ve given it a good deep clean it’s so much easier to keep on top of it afterwards. Dirt and grime can easily build up in your microwave. A good clean will not only get it back to its former self, but will improve its general hygiene. Using a combination of vinegar and water, you can create a solution that will help you tackle those stubborn stains. Heat a measuring jug with a fifty-fifty solution for ten minutes in your microwave, until it steams up. Remove the jug and then use a cloth to wipe away the moisture and dirt. It’s that time of year – a chance to look out the spring and summer clothes that have been buried at the back of your wardrobe for the depths of winter. The best way to tackle organising your wardrobe is to separate your clothes into seasons: spring, summer, autumn and winter. Then try your outfits on. Do they still fit? Do you still like them? If the answer is ‘no’ then get rid of them either by donating them to charity or selling them on if they are still in a good state. Move furniture like beds, sofas and wardrobes and give the area a good vacuum before replacing. Polish furniture and check whether any repairs are needed, such as sticking drawers or ring marks. Revive the surface of natural woods, such as pine, using a wood cleaner with nourishing oil. A spring clean is a good excuse to flip your mattress, wash duvets and pillows to prepare them for the season ahead. It doesn’t have to be a big task! You might not have time to deep clean your entire house or the idea of doing it might put you off. Even twenty minutes of work is a step in the right direction, and then later that day or next week, you can do another 20/10, and another, and before you know it, you’ll be back on track towards getting your house looking great. 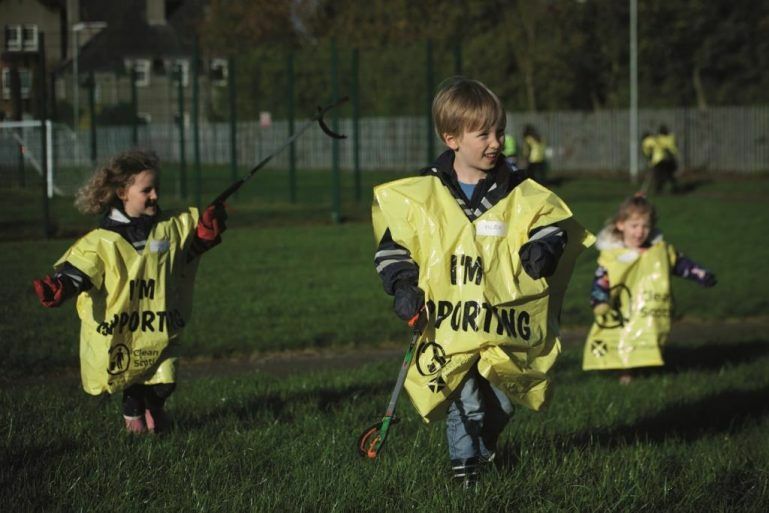 You can find out more about how you can get involved in Renfrewshire’s Big Spring Clean (20 – 22 April) here.